After devastating monsoonal floods in Thailand shut down several of its key disk drive plants, drastically hurting its revenue and market standing, Western Digital this week reported record financial results for 2012. According to market research firm IHS iSuppli, WD has recaptured its disk drive market share lead from chief rival Seagate, returning to pre-flooding drive shipment levels. According to Seagate's pre-earnings announcement, its revenue for the second quarter of 2012 will be $4.5 billion, with 66 million hard-drive shipments. 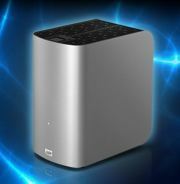 WD shipped 71 million units for the same quarter, according to IHS iSuppli analyst Fang Zhang. For the fiscal year 2012, WD reported revenue of $12.5 billion and net income of $1.6 billion, or $6.58 per share for fiscal year 2012, compared with $9.5 billion in revenue for the previous year and net income of $726 million, or $3.09 per share. For its fourth quarter, which ended June 29, WD reported revenue of $4.8 billion, hard-drive shipments of 71 million and net income of $745 million, or $2.87 per share. Both WD and Seagate completed mergers with other disk drive makers this year -- Seagate with Samsung and WD with Hitachi GST for $4.3 billion. The mergers increased the intensity of the rivalry between the companies. WD's 2012 fiscal results included Hitachi GST. Zhang said WD gained more initially in drive shipments by acquiring Hitachi, which held the number three spot in the hard drive market. Samsung was number five in drive revenue. "Both have the potential to increase their market share, but now it seems WD has a better lead due to its previous size, as well as good quality products from Hitachi GST," Zhang said. "However, anything can be changed due to enterprise versus client ratio in the future. It is still waiting to be seen." One major impact on drive shipments will be ultrabooks, lightweight laptops powered by Intel processors that are expected to experience heavy adoption in the third and fourth quarters of 2012. Ultrabooks will come with either a solid-state drive (SSD) or a combination of a high-capacity hard drive and a low-capacity cache SSD. What will determine its adoption rate will be price. "The number one issue for PC adoption is pricing. If ultrabook pricing is $900 or above, adoption will be very difficult," Zhang said. The monsoonal flooding in Thailand last year catapulted Seagate Technology into the market lead in the last quarter of 2011, a position it had not held in two years, according to IHS iSuppli. In the fourth quarter of 2011, Seagate shipped 46.9 million HDD units worldwide, compared to 28.5 million for archrival Western Digital, according to iSuppli. Western Digital was hardest hit among disk drive manufacturers with plants in Thailand and an earthquake that rocked Japan. Toshiba, for example, reported flooding in one semiconductor plant, but WD saw about 75% of its production shut down, according to some industry estimates. After the Thai floods, Seagate claimed 38% of HDD market share, compared with Western Digital's 23%, according to iSuppli. Toshiba claimed 16% of HDD units shipping worldwide in the fourth quarter, followed by Hitachi GST with 14% and Samsung with 9%. "Fiscal 2012 was one of the most challenging and exciting years in our 42-year history," said WD CEO John Coyne. "While responding to two major natural disasters and completing the largest acquisition in the history of the industry, we achieved year-over-year revenue growth of 31% and more than doubled earnings per share. Coyne said during the fourth quarter, drive demand was in line with the company's forecast as shipments reached 157 million units, bringing total HDD shipments for the year to 599 million units. Read more about ssd in Computerworld's SSD Topic Center. This story, "Western Digital Bounces Back With a Vengeance" was originally published by Computerworld.